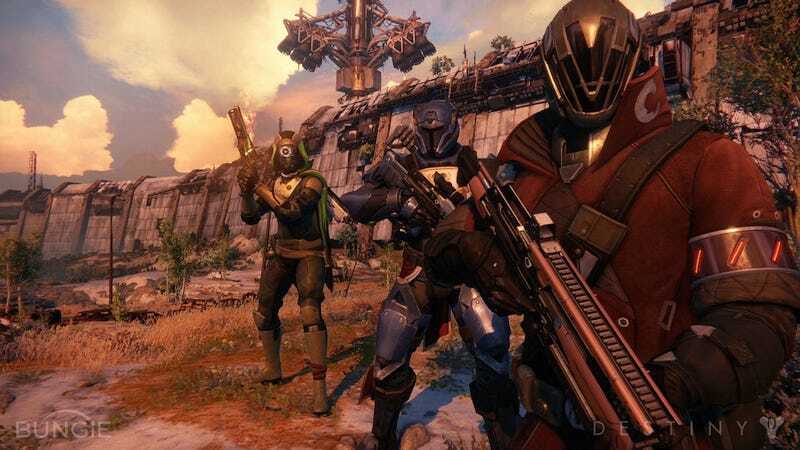 Bungie's big new multiplayer shooter, Destiny, has a release date. September 9 of next year for Xbox One, Xbox 360, PS3 and PS4. The news comes via Bungie themselves. And they're promising a beta in the summer for PS3 and PS4. The game, or at least its beta, had previously been pegged for a spring release. Bungie's post today gives no explanation for the apparent delay other than a pledge to make the most of the development time the game has, noting that "[e]very new build brings us closer to our original vision. With those goals in sight, we intend to use every moment from now until the release of the game to ensure that Destiny lives up to your expectations, and our own." Bungie has launched many of its Halo games in September, a month that will keep it clear of Call of Duty, which, like Destiny, will be published by Activision. Destiny is a sci-fi shooter built for co-op and meant to be played in what feels a bit like an MMO-style shared world. The game looked cool when I saw it at E3, though not altogether revolutionary—more of an evolution of the kind of co-op shooting we've been seeing in games like Borderlands with a slick Bungie art style. There's clearly more to know and see, and recent video of it has looked quite good. Bungie will be showing the game off more at Saturday's VGX show, which will stream on Spike.com and numerous other sites, including Kotaku, from 6pm-9pm ET.